Glasgow and the Eyecare conference were the subject of a feature in the September 2018 issue of M&IT magazine, M&IT is one of the leading publications for the events industry and found Eyecare and Glasgow to be successful examples of a conference and a conference venue respectively. Eyecare has been visiting Glasgow every year for more than 2 decades and in January 2018 we saw a record attendance of 401 delegates. Glasgow, it seems, is experiencing a similar boom. In May alone, Glasgow welcomed 22,000 conference visitors to the city, thought to be worth £25.5 million to the local economy. Glasgow has the largest academic community in the UK outside London, conducting world-learning research in the fields of life sciences, engineering, science and technology. It is successfully building on this reputation to become a leading venue for scientific conventions. 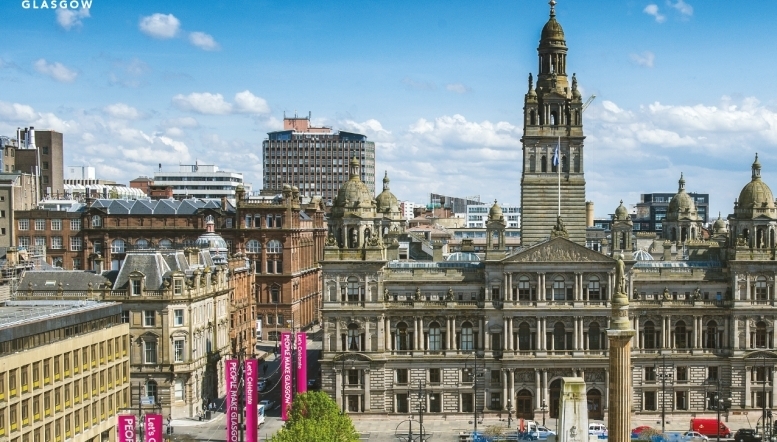 This year saw a new conference venue open its doors in Glasgow after a £500,000 investment. The SEC Meeting Academy adjacent to the SSE Hydro and SEC Armadillo offers a 400 seat auditorium in a flexible meeting space. Eyecare will return to the Hilton Meetings and Conference Centre on Sunday 20 and Monday 21 January 2019. With a lecture, exhibition space and workshop facilities all on one floor, the Hilton remains the ideal layout for an event of this size. And Glasgow has plenty to offer the conference visitor from excellent restaurants to music venues and tourist attractions. We believe that Glasgow's friendly atmosphere rubs off on the Eyecare conference, making it one of the less formal and most accessible events on the optical calendar. Glasgow is easily reached via road, rail and air. The Hilton Meetings and Conference centre is a 5-minute taxi ride from Glasgow Central station and only 20 minutes by bus from the international airport. The hotel and conference centre has its own covered car park. If you haven't been to Glasgow recently you should make it a New Year resolution to come to the Eyecare Conference and Exhibition on 20 and 21 January 2019. With 36 CET points on offer, and great early bird offers and discounts on hotel accommodation, can you afford not to?